Roy Noble ( on the left ) with author, William Cross, (on the right ), on The Roy Noble Show, on BBC Radio Wales, discussing Will's candid biography of Almina, Countess of Carnarvon. Picture Above : William Cross, FSA Scot, the author of the Life and Secrets of Almina Carnarvon. 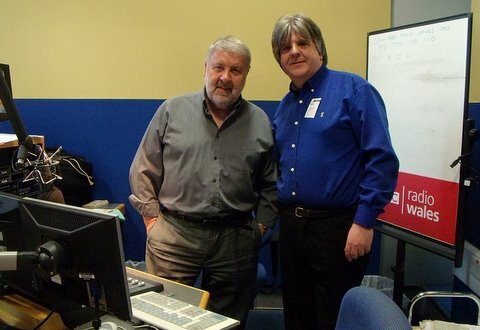 This photograph was taken at the BBC Radio Wales, Studios, Cardiff, Will is being interviewed by Roy Noble on his afternoon programme. Will was also interviewed by Kim Lenaghan of BBC Radio Ulster, for their Arts Extra programme.